If you're looking for big, juicy berries to grow in a small space, Joan J is the raspberry for you! Its firm, bright red berries are easy to harvest (they'll release well from their stems), with small druplets and a delightfully sweet flavor. 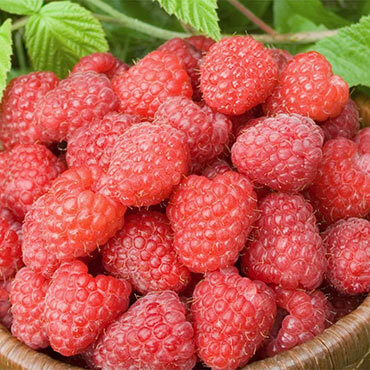 Joan J is a thornless raspberry variety, and provides a high yield of fruit each year in the early fall. In its second summer, it will give you fruit all summer long! Your garden's bird visitors love raspberries as much as we do, so be sure to keep your crop safe with our Bird Netting. Zones 4-8.